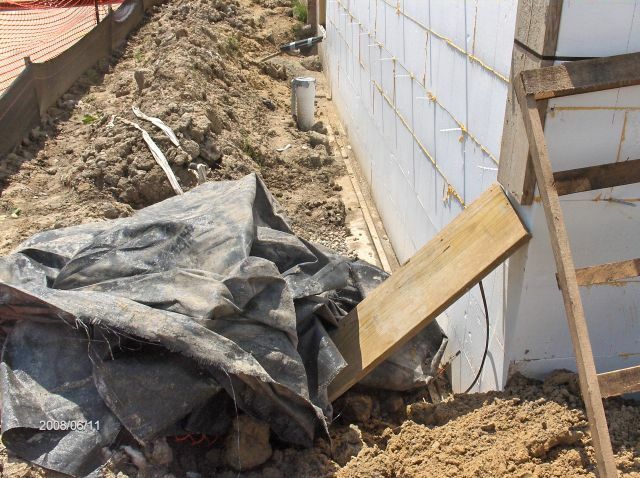 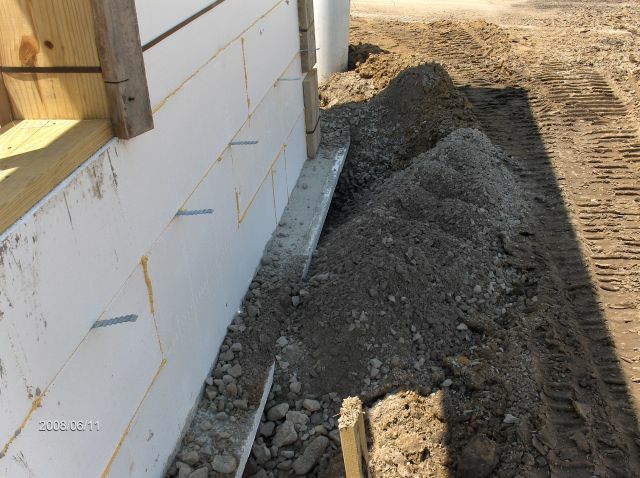 In an earlier post I discussed Rosie-O-Gradys-In-Chesterfield-Twp-Michigan_Concrete-In-Footings-For-Building-Addition. 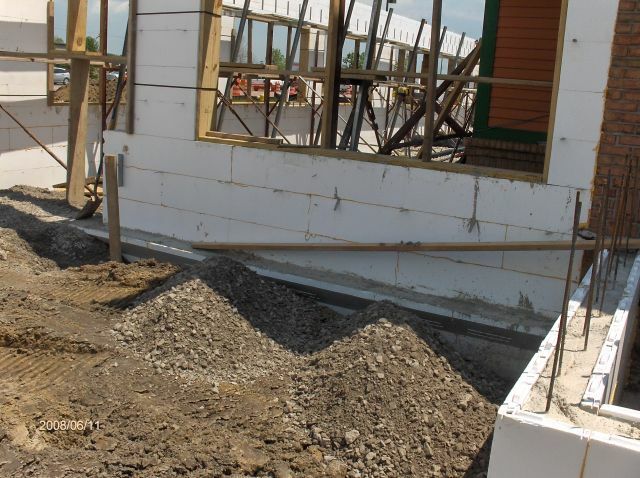 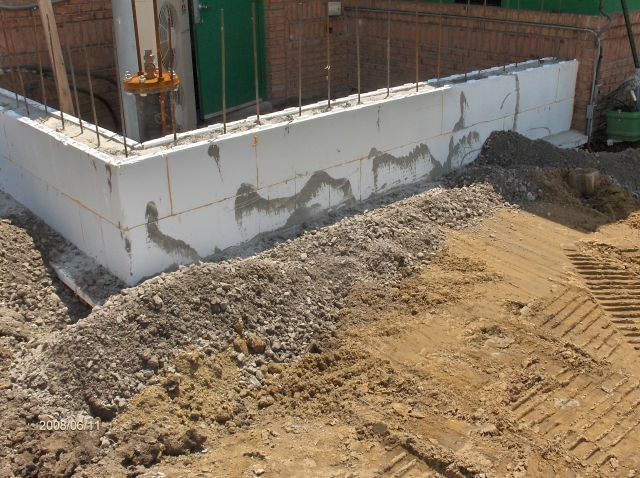 Then came the ICF walls with the brickledge. 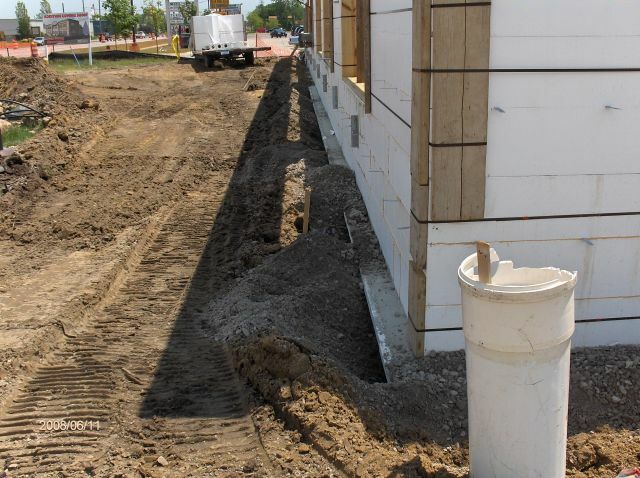 The brickledge is pretty close to what would be the finished grade. 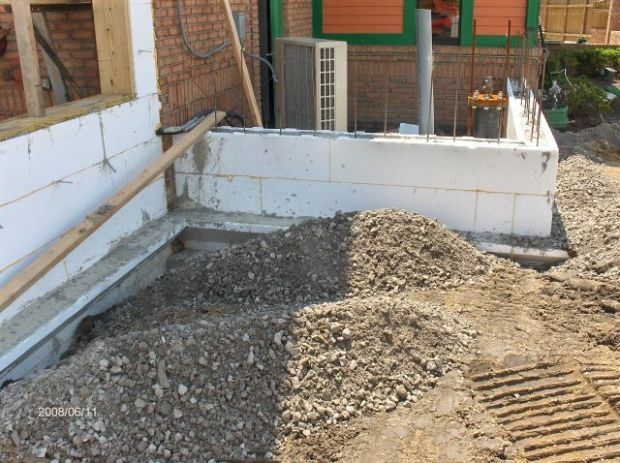 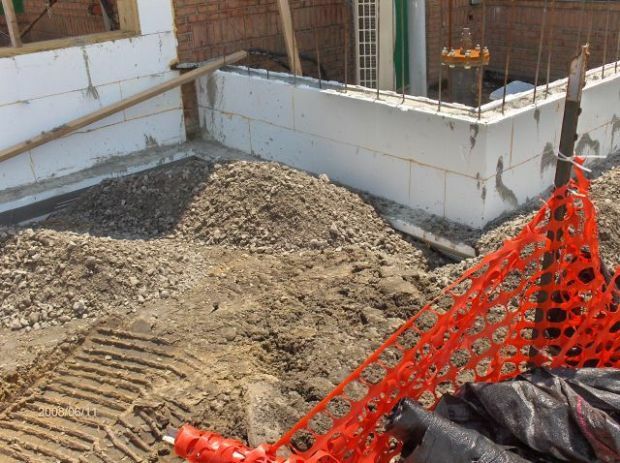 With the type of soil in the vicinity of the brickledge, the contractor decided to backfill upto the brickledge level with granular material.